T293 is pleased to present a solo exhibition of South-African artist James Beckett. 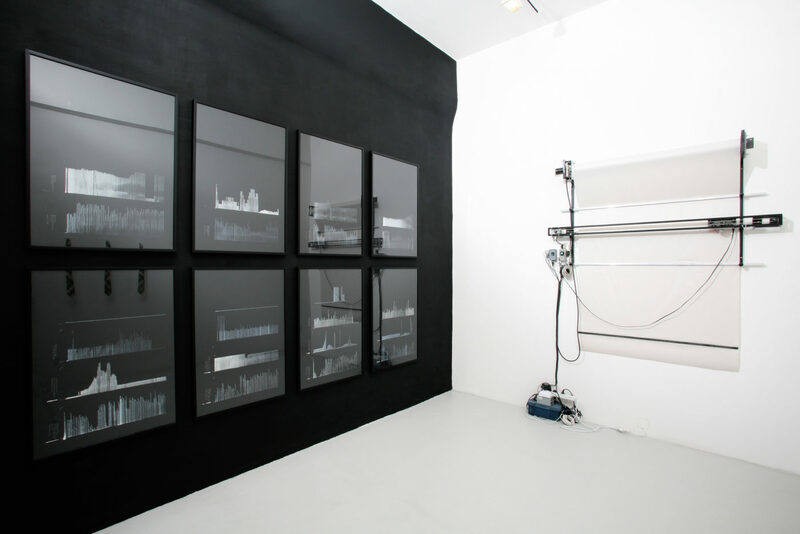 The works on display are part of a wider corpus of works recently presented at BüroFriedrich in Berlin. Beckett lingers on the moment in which our personal history and the history of our representation systems coincide. The use of information and its transposition in an alien system – acoustic or visual – represent the attempt to test the information carrying potential of different languages. In that sense, Beckett’s work can be seen as a modern interpretation of Alfred Jarry’s pataphysics, an 18th century parody of the theory and methods of modern science which often develops a very specific language without any meaning. Measuring the surface of God – for example – was a pataphysical project. Beckett presents a grotesque story about standardisation in a personal language consisting of recordings full of intentions, but without any functional character: the interpretation of the gossiping in the bar next door to the gallery, constantly recorded by a big plotter, is a hybrid between the Braille and Morse codes. 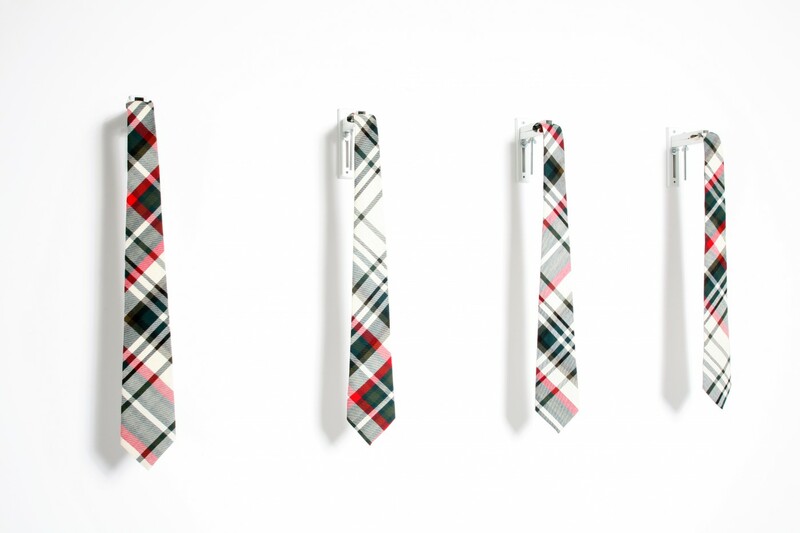 A second intervention consists of five ties made of Beckett’s personal “Tartan”, produced and registered in Scotland. This Scottish fabric has developed over the centuries and represents districts, families and clans and it acts as a sort of index. For his own “Tartan” the artist has taken the digestive results of the experiments of William Beaumont (1785-1853), the founding father of gastric physiology and translated his discoveries into an image, transforming the stomach’s habits in fabric samples. In a series of drawings Beckett uses the graphic language to present a view on children’s measures, bridges and domestic fires. A profile development requires the complete reduction of the starting material by applying a constant average.